To “garnish” is to take property (most often a portion of someone's salary) by legal authority. Garnishment is a proceeding by a creditor to collect a debt by taking the property or assets of a debtor. Any person or business can be subject to garnishment. The person who starts the process is called the judgment creditor or plaintiff; the person who owes the creditor is the judgment debtor or defendant. The person holding the property of the defendant, or who is indebted to the defendant, is the garnishee. A garnishee can be a bank, an employer or other person who holds property that belongs to the judgment debtor. To collect money owed, the plaintiff must first obtain a final judgment or order against the defendant in court. For more information on filing a claim see the “How Do I ” section of the home page. A garnishment proceeding determines whether the debtor has any assets that can be used to pay a judgment. Once a judgment has been entered, the creditor can collect what is owed. Judgments are good in Maryland for 12 years and they can be renewed. Often interest accrues on judgments at the legal rate of 10% or 6%. Two common types of garnishment proceedings are garnishment of wages and garnishment of property and assets, like a bank account. Note: the following processes are based on District Court Rules of Procedure. They apply if you have a judgment in the District Court of Maryland. See Md. Rules Title 3, Chapter 600. The rules for garnishing property in Circuit Court are very similar, however, there may be some differences. Notably, the Circuit Court does not have forms for judgment creditors to use. Some Circuit Courts may allow you to use District Court forms. Others may require you to draft your own motions and requests. If you have questions about court procedure, talk to a lawyer. The creditor begins the garnishment process by filing a Request with the court. There is a fee to file the Request. After the request is filed, the court clerk or a judge signs the Request and it becomes a Writ of Garnishment. A “writ” is a formal command ordering a person or entity to take some action. A Writ of Garnishment is a court order to the garnishee. It orders the garnishee to hold any property of the judgment debtor that the garnishee possesses at the time the Writ is filed. The Writ of Garnishment must be served on the garnishee via certified mail, restricted delivery, private process or sheriff/constable. 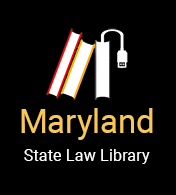 For more information on service of process see Frequently Asked Questions about "Service of Process” in Maryland. The garnishee must file an answer to the Writ with 30 days of being served. The answer should say if the garnishee has property that belongs to the judgment debtor, and if so, how much. If the garnishee does not respond to the Writ of Garnishment, the garnishee may be held in contempt of court, and, in some cases, may have a judgment entered against him. If the Writ of Garnishment is issued for a bank account, after the Writ is served on the bank, the bank “freezes” the judgment debtor’s bank account. This means the judgment debtor will be unable to access money in the account unless the amount in the account exceeds the amount of the garnishment. If additional money is deposited into the bank account (like a direct deposit from work), it is often frozen too. The bank often assesses fees and costs associated with the garnishment proceeding. Some assets may be exempt from garnishment. Money in a bank account held jointly by husband and wife cannot be used to satisfy a judgment unless both are judgment debtors or, in some cases, if the account was established after the judgment was entered. This is the same for business partnerships. Other assets that are protected from garnishment include most federal benefits including Social Security, federal pensions and disability funds, child support payments, and many state benefits, like unemployment. You can find a list of the federal benefits that are ordinarily exempt from garnishment here . Other money may be exempt up to the value allowed by law. The judgment debtor can file a Motion to Release Property if he or she has less than $6000 in a bank account that a creditor has requested to garnish. If the judgment debtor wants to object or raise exemptions to the garnishment, he or she should do this within 30 days of the bank being served with the Writ of Garnishment. If no exemptions are raised, the judgment creditor must file a Request for Judgment-Garnishment. This orders the garnishee to pay the money to the judgment creditor. If the Writ is issued for wages, after the Writ is served on the employer, the employer must withhold wages as directed by the Writ until the judgment is satisfied, or until the court orders the employer to stop withholding. If there is more than one garnishment, each must be paid in full in the order it was served on the employer. When wages are garnished, the employer pays part of the judgment debtor’s wages directly to the creditor. Wages cannot be garnished if the judgment debtor’s disposable wages are less than 30 times the federal minimum hourly wage per week ($217.50 per week). In any event, no more than 25% of your disposable wages for a week can be garnished. The creditor is required to send the judgment debtor and the garnishee a monthly judgment creditor’s report (statement) that discloses payments received and manner credited. Click to see a sample Judgments Creditor’s Monthly Report. If the creditor fails to provide the report, the garnishee or the judgment debtor can file a motion to dismiss the garnishment and request the creditor cover reasonable attorney’s fees and costs to file the motion. A garnishee can oppose the garnishment by filing a motion with the Court. The court may release some or all of the property if the judgment has been vacated, has expired, or has been satisfied, if property is exempt, or if the judgment creditor fails to comply with court rules. The judgment debtor may also ask for some property to be exempt from garnishment by filing a motion within 30 days of the garnishee being served with the Writ of Garnishment. A person other than the judgment debtor who has an interest in property subject to a garnishment may file a motion and ask the court to release the property. This often happens if people share a bank account and one person is a judgment debtor but the other is not. When the judgment creditor has been paid the full amount of the judgment, he or she must file a written statement telling the court that the judgment has been satisfied and provide a copy to the judgment debtor. After filing the statement, the clerk of court shall enter the judgment as satisfied. If the judgment creditor does not file the notice of satisfaction, the judgment debtor may file a motion for a court order declaring that the judgment has been satisfied. If the court enters an order of satisfaction, it may order the judgment creditor to pay the costs and expenses incurred in obtaining the order, including reasonable attorney's fees to the judgment debtor. What federal benefits are ordinarily exempt from garnishment?